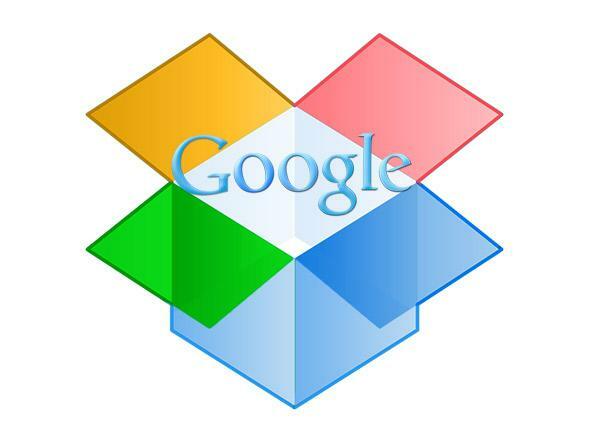 Why Google should buy Dropbox: It has the potential to create a true Internet of You. Because it has the potential to create a true Internet of You. Siri and I don’t talk much these days. Which is odd, because she probably knows more about me than anyone else in my life. She knows where I’ve been, where I am, and where I’m going. She knows how many books I own, and which ones I’ve actually read. She knows whom I talk to every day, and what I say. Note it, not her; perhaps Apple found the premise of Her, about a more-human-than-human operating system, to be unsettling. But there’s no need to fear that I’ll fall in love with my digital assistant; at the moment, I barely like her. She’s useful for sending texts or emails while I’m on the road, and her voice recognition capabilities are remarkable. Even still, she’s not that bright—she can’t really do anything I can’t, despite the resources (and my data) at her theoretical disposal. This should scare the good people in Cupertino, and it should give pause to the folks in Mountain View. If anyone should be finding “more and more ways” to use Siri, I should. I am an unabashed Apple fanboy. I find nothing weird about anthropomorphizing an operating system. And if everyone’s excited about the Internet of Things, I’m even more excited for the Internet of Me: the possibility of automating, operating, optimizing, and organizing every detail of my life. I don’t want the NSA or advertisers rummaging through my data. But I’m happy to let someone do it, provided they find patterns within it that I can use. As I upload more and more of my documents, emails, and pictures to the cloud, Siri—or at least the OS she’s the emissary of—should find “more and more” ways to mine them. Siri could help me plan for meetings. She could help kids do their homework. She could fact-check my articles. She could help me find the perfect birthday gifts. She could keep me up to date on work-related tasks and conversational threads. I’d gladly subscribe, perhaps paying in the double-digits per month, to a savvier Siri. If only she knew where to start. As it happens, I’m one of the 200 million users who’ve stashed things away on Dropbox. I store my working life on Dropbox: presentations, spreadsheets, rough drafts, and so on. Increasingly, I also store my personal life on Dropbox: photos, home movies, backup files, and e-books. At first blush, it seems counterintuitive that we’d be storing so much on a service unconnected to our mobile devices. But that’s Dropbox’s secret weapon: It’s platform-agnostic. For all the beauty, simplicity, and elegance of iOS and Android, those operating systems are black boxes to everyday consumers. Most users probably don’t transfer files onto and off of their tablets and smartphones using anything other than the onboard app stores. This limits what users can put on those devices and, accordingly, it limits what users can do with them. As Dropbox acquires more of those files, en masse, it acquires all of their potential use cases. It just so happens that all the files not on our tablets and smartphones are among our most important—for some of us, they’re the only reason we still keep laptops at all. So far, Apple’s iCloud has access to the lighter side of our lives, and Dropbox has access to the serious side. That balance may tip, and not in iCloud’s favor. Dropbox is muscling in on Apple’s turf with Carousel, a beautiful photo-management app with the potential to do a lot more. Just a few days ago it announced the purchase of Loom, an Apple-centric photo and video storage service, and Hackpad, a collaborative document startup. The company is moving swiftly and aggressively to perform an end-run around Apple’s and Google’s mobile cloud offerings. Steve Jobs realized that Dropbox would one day pose a threat to his designs on the cloud; he allegedly made a play for the 2-year-old company in 2009. Drew Houston, Dropbox’s CEO, declined the offer. Today Houston’s company is valued at over $10 billion. Apple could still afford to buy Dropbox, and it should probably try. But my money’s on Google. Google, unlike Apple, could integrate Dropbox into its platform practically overnight—and make billions of dollars off Dropbox-related services. Google, unlike Apple, faces threats from Dropbox on all sides of its business. And Dropbox is starting to look very Google-y. Back in February, Houston piqued the Valley’s curiosity by hiring Dennis Woodside, the former CEO of Motorola, away from Google. During his brief stay at Google, Woodside ran ad sales in the Americas; Google’s top brass doesn’t hand over positions like that to just anybody. Woodside isn’t the first signal of Dropbox’s ambitions in mobile advertising: About a year ago, Dropbox bought Endorse, a mobile coupon startup. It bought TapEngage, a tablet-optimized advertising service, in 2012. Those acquisitions went largely unheralded, but in retrospect, they’re starting to form a pattern. A wide-reaching ownership over 200 million users’ most treasured digital artifacts provides Dropbox a trove of information that’s in some ways more useful than Google’s. Web search will remain a valuable market for many years to come. But search within one’s personal web—or at least informed by it—might be even more valuable. For all its potential, Dropbox isn’t a search company. It may be gobbling up a lot of the world’s most useful information—but unlike Google, it’s not (yet) adept at organizing that information. Its acquisition history suggests ambitions, however inchoate, in the advertising space. Google, meanwhile, wrote the book on digital advertising. It also has the team, infrastructure, technical depth, and resources to power a massive, Dropbox-based ad platform. With Dropbox at its disposal, Google could move further into predictive and need-state-based advertising. It could also build a competitive hedge against Facebook’s segmentation-based ad platform. On its own, Dropbox might take years to reverse-engineer Google, but it’s squirreling away all the data it needs to do so. The Google it might build—the Internet of You, and all the services you’ll need for it—will be increasingly central to our cloud-powered, mobile lives. The learning curve to build it will be steep and perilous. It’s a tall mountain to climb, but the view from the top is spectacular.